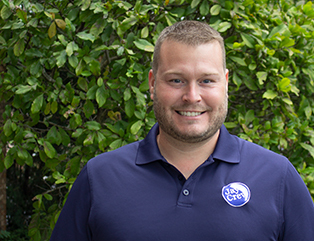 The commercial lawn and landscape company Jay-Crew recently announced the addition of Chris Killebrew to their sales team as a Relationship Manager. As a native of Lincoln, Illinois, Chris always loved working outdoors, and his first job was mowing neighborhood lawns. While attending Southern Illinois University, he operated a tractor and bush hog, mowing interstate medians for First Class Lawn and Landscape. He moved to California for a couple years after graduation before relocating to Indiana and returning to the commercial landscape industry, where he worked as an Account Manager for Brickman Group and Wild Ridge Lawn and Landscape. He enjoys the ability to work with the elements of the earth to transform a site into something beautiful while exceeding expectations and gaining the trust of clients. Killebrew’s role as a Relationship Manager is to build long-lasting relationships with clients and provide them with all the resources needed to make informed decisions about the appearance and condition of their properties. He will also market Jay-Crew’s full-service commercial landscape management to potential clients and oversees various special project management duties. “Chris is a talented individual with vast knowledge of commercial landscaping. With his experience, he will provide exceptional service to our clients and represent our core values well,” stated Jay-Crew President and Owner Jason Brooks.